Hailing from Sheffield, The Kicklips who only formed around 10 months ago are already becoming an exciting prospect and are set to have a BIG 2018. Consisting of bassist & vocalist Beck Shillito, guitarist Mo Ghani and drummer Dan Siddall, the three-piece take mid-noughties indie music and blend it with a modern twist and poppy song structures to create an instantaneous and catchy form of rock music. After a succesful 2017 which saw the band play various gigs, supporting Manchester-based indie slackers ‘Faux Paus’ and release 4 singles (Hillywood, Rose Tinted Kind of Way, She’s Got Me and You and Me) which gained them airplay on radio stations such as BBC Introducing, Amazing Radio, IndieXL, Union Jack and the USA’s Musolist to name only a few. Going into 2018, the band have been recording with producer Alan Smyth of 2Fly studios in Sheffield who’s well-known for his contributions to the Arctic Monkeys early discography. As a result, the three piece have a bunch of new songs they’ll be releasing over the course of 2018. The first taste of new music was released in February, it came in the form of Scared which is quite frankly an absolute banger. With a more punky sound than their previous material, the band create a musical canvas of fast paced chord progressions and thundering drums which added to Shillito’s nasal vocal delivery, create a must listen track. Another one of our favourite tracks of theirs is She’s Got Me. A gritty guitar tone, a rhythm section that swing through the verses and the chorus and some top lyrical work make up another top track. The bassline in the chorus is truly infectious. 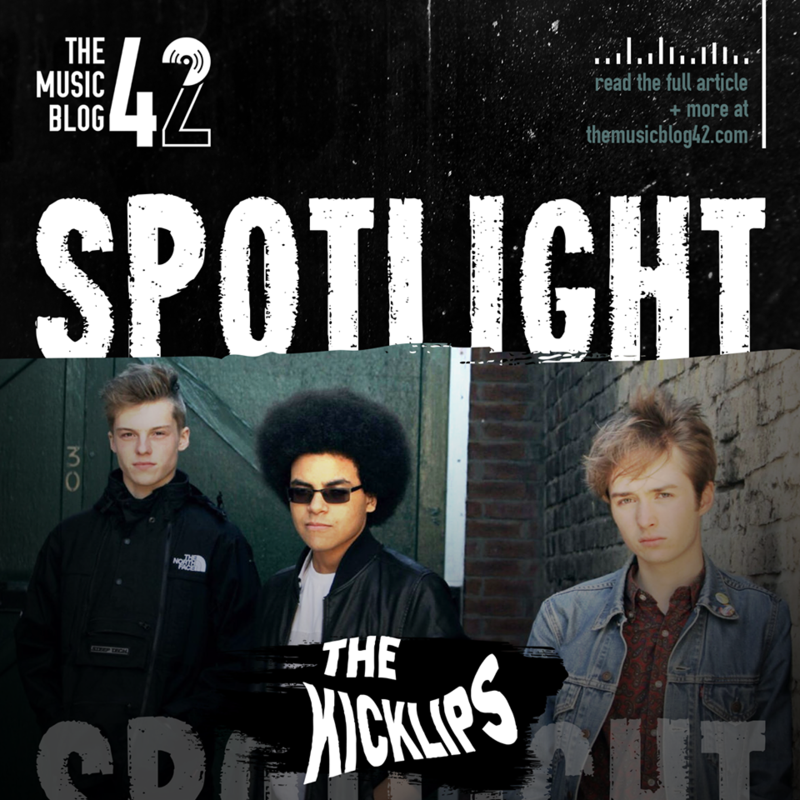 And it’s not only The Kicklips making waves in the indie music scene, Sheffield is fast becoming an indie music hotspot, with bands like The Sherlocks, RedFaces, SHEAFS and Oddity Road emerging from the city over the past few years. With a promising 2017 under their belt, The Kicklips are definitely a band to look out for in 2018! Their new track Scared is on all streaming services!